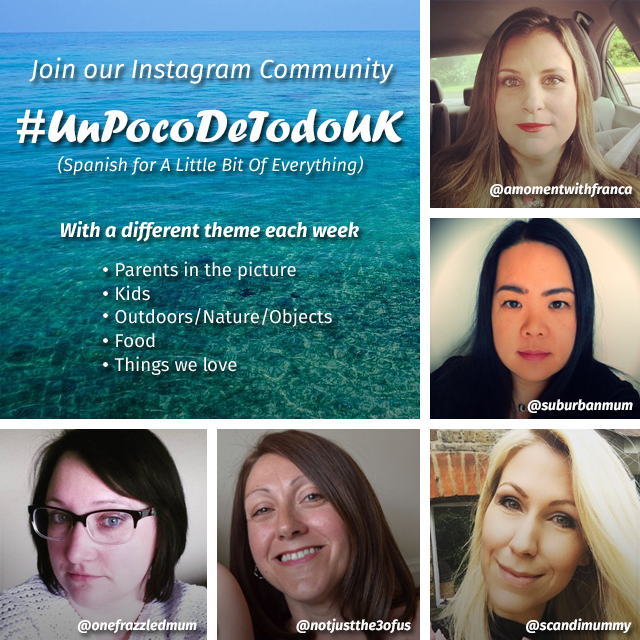 Welcome to #UnPocoDeTodoUK, an Instagram linky that me and the lovely Maria, Tracey, Nadia and Nicky will be hosting from now on. I had this idea a long time ago but it came to life after having a great brainstorming session with the girls. This new Instagram Community will be launching on 5th September. You all know I like rules so this community will have rules too, therefore we will all get the best benefit from it! I have big hopes that this new community will boost our Instagram but in order for it to work we have to share the love. It is a similar concept to #KCACOLS. 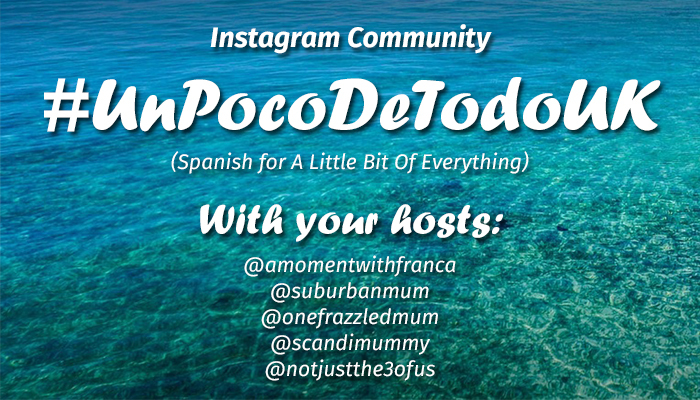 As I mentioned before the name of the community is #UnPocoDeTodoUK which is Spanish for “A Little Bit of Everything”. As you can see there is not just one theme. Because we are 5, we have come up with 5 themes that we would like you to be part of with your photos each week. After week 5 it goes back to me and so on. The themes will rotate between each other every 5 weeks. We will let you know about one month in advance so you can prepare for the month. So each week we will let you know how the order of the 5 themes for the first 5 weeks will be so I guess that will help you to get your photos sorted on time. The idea behind this Instagram Linky is to be able to get more traffic to our Instagram. I want to make sure we all get likes and comments and of course to follow each other. 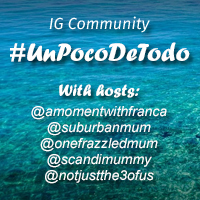 #UnPocoDeTodoUK will be an Instagram Community where will be able to share our photos and challenge each other with a different theme each week. This will bring diversity to your Instagram Feed and will give you some ideas of what photos to take. I know that perhaps having any photos at any time would have been the best approach but after a lot of thinking we came up with the idea of incorporating 5 themes so we can have a wider range of what we can share. If you would like to increase your Instagram followers or growth your Instagram in general then this is the linky for you! I just need you to be on board and fancy to give it a try and of course spread the love which is the most important part of all. I would also like it if you also add the #KCACOLS hashtag in all your photos as that will also increase your chances for other people that have not joined the linky to like and comment on your photos. I guess it is always another hashtag to use so we can all keep helping each other. Each week we will come together and choose our 5 featured photos, which would be added as a link back to you as we will share them in the following weeks linky post. This will give you a chance to increase your DA. We will also feature a 6th photo of the person that has spread the love the most. I always like to reward people who have been generous in this way! 7. If you would like us to tweet your photo that is absolutely find just tweet me @WithFranca, Maria @suburb4nmum, Tracey @frazzledmumblog, Nadia @scandimummy and/or Nicky @nickykentisbeer with your link and we will retweet it. Please remember to use the hashtag #UnPocoDeTodoUK.